^ I agree. Same here !!!! Male - Ryoma Hoshi: He is really a deep and tragic Character if u think about it. Respectful, wise and considerate of others. I'm guessing the reason he is not that populair compared to the rest is because of his appearance. It is the same case with Hifumi Yamada, Teruteru Hanamura and Daisuke Bandai. While I'm not really that much of a fan of theirs, they possess some qualities that I can respect. Whenever I see them getting bashed on, their looks is always the case. Short, fat of just ''cartoonish'' Characters don't really appeal to fans. Still, it is a real shame. Especially when it comes to Ryoma as he is a Character that has a lot of potential and enough room for development. Female - Angie Yonaga: She is my favoriete V3 Female along with Maki Harukawa and Tenko Chabashira. She is cheerful, sweet, kind and has shown to be pretty witty in contrast to first impressions. Being a religious person only makes her meer interesting and unique as a Character in this Series. In the end, it is a matter of preference. Many find the concept about Atua to be pretty annoying as well as her personality. Cheerful Characters like that usually have it rough. I can respect that but what I can't accept is her depiction as a selfish and manipulative person. While she might had a big influence towards most, everything she did was for their own sake. She didn't brainwash them, rather that innocence and affection of hers brought the others to her side. Even though the devotion towards Atua might have gone a little too far, she was convinced that she was doing the right thing and protecting them all. It was meer of a selfless verplaats rather than the opposite. Also, her connection with Atua served as a way of expressing her own self. They were her true feelings. That is clear if u mostly pay attention to her Free Time Events and it seems that even Angie herself realizes that in the end. It really saddens me to see her getting that much hate as of late !!!! Boy: For the boy I choose Nekomaru. He seems to be a pretty disliked character for the most part and I sorta wonder why. Like, he willingly saved someones life without even thinking twice. Not only that, but he willingly chose to fight Gundham knowing that he would have died no matter who one the fight. He cared so much about everyone. That's a real good character there. Girl: For the Girl I choose Asahina. Hina is such a good character. She may be a bit dumb all in all, but she's so sweet and kind to everyone. Yes, she had her problems but she's loyal and full of hope. In Dangabronpa 3: Furure arc, she really prooved that, risking her life and fighting Juzo while risking the chance to get kicked of punched door him and then dying door breaking her rule. Hell, she eveb carried Makoto. They're both really good characters in the end. I cant beleive meer people dont like them as much as they should. Not V3 Characters but I agree. I really believe that Nekomaru is one of the Characters that deserve the most respect. Taking a look into his background u can't help but grow your admiration for him. As for Hina, she is one of my favorieten as well. Sweet, kind, positive and loyal. Contrary to populair belief, she is not just there for the Fanservice. She improved even meer in DR3 where she became much meer capable. Respect for that as well !!!! 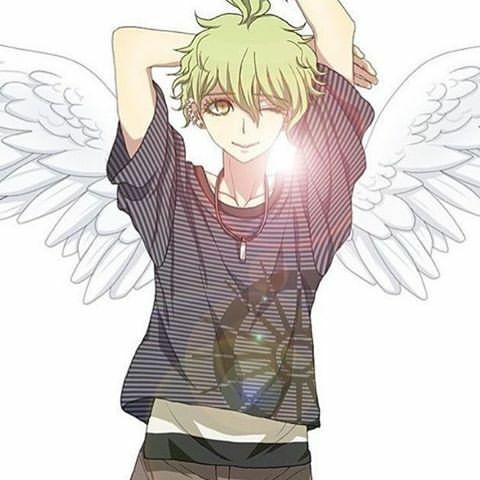 MY BOI RANTARO - I LOVE HIM !!!! !